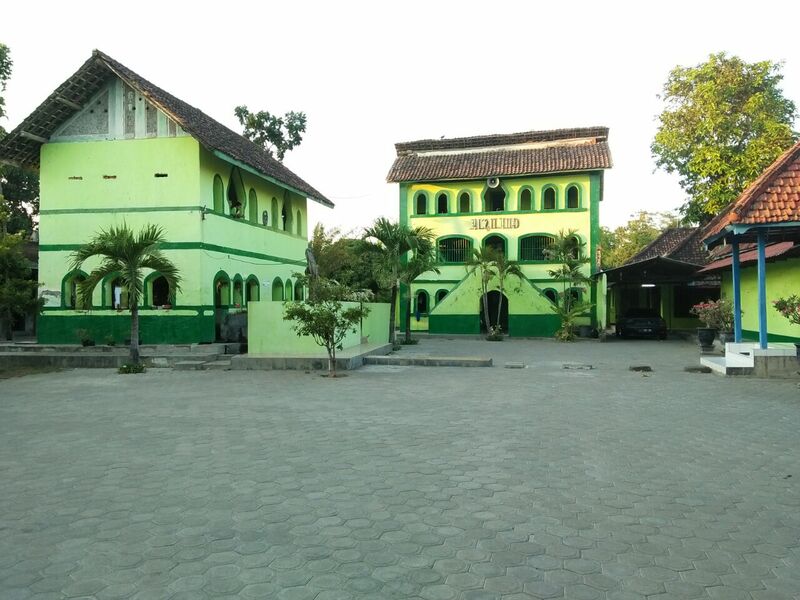 Pesantren (islamic boarding school) is the core of Islamic education system in Indonesia. From the historical side, the birth of pesantren along with the history of Indonesian struggle since pre-independence era until today. Until now, pesantren become one of the model of education system that exists in a pluralistic Indonesian society. Pesantren claasified to three models, that is pesantren salaf (classic), modern, and the combination of salaf-modern. One of the largest modern islamic boarding school is Gontor Modern Islamic Boarding School at Ponorogo East Java. Pesantren is an example of the most successful Islamic religious education system in Indonesia. Nowadays, the existing curriculum of education in pesantren that grows and develops in society not only focuses on teaching about Islam but also general knowledge and skill. Pesantren-based education is a very affordable education among the lower middle class, except pesantren who have adopted the modern education style with services and facilities are all expensive. However, to this day many pesantren growing and developing among rural communities is a salaf-based pesantren that uses a curriculum model that emphasizes teaching with the classic books by salaf ulamas. There is no doubt that pesantren is a model of Superior Islamic Education, Moderate spirited, and able to become an icon for Integration between Religion, General Knowledge, and Technology. Therefore, the paradigm of "santri" (people who study in islamic boarding school) who only studied religion should be changed immediately. For now, there are so many alumnus from pesantren who become great figures and scientists in all fields. Viewed from the relationship with the society, pesantren is a form of education that has a very close relationship with the society. Because historically, the birth of pesantren is a mutual effort from society to answer the various needs that developed in the society. Santri who have finished their education from pesantren are expected to be agents that empower the society. However, from the diversity, it all boils down to one principle that is Islamic religious education. Pesantren holds the principle trilogy in the form of integration between science, charity, and sincerity. Also 3 other basic principles that include faith, Islam, and ihsan, or commonly termed the Trilogy of Religion: in which contains aqidah, shari'a and morals. Studying the Islamic religion is different from the way of learning general science such as physics or mathematics. Because the goal of studying religion is not just to absorb science and information into the brain that we can do in an instant and independent way (self-taught). In learning about religion, we need strong beliefs and intelligence ('aqlun rajjaah), teachers who can open their students' hearts (shaykh al-fattaah), struggle and clarity of heart (shafaa'ul qalbi), and noble morals. Firstly, pesantren is a reference for Islam that is most assured of its validity. Islam in Pesantren is the purest, because it is kept from the influence of foreign thoughts that are often infiltrated. So the Islamic sciences taught in Pesantren are the most worthy to be studied and made reference to Islam. In this case Muhamaad bin Sirrin said: "This science (Fiqh, ushul fiqh, hadith etc.) is a part of religion, so consider carefully, from whom you will study your religion" (Saheeh Muslim, 1/33). Thirdly, the curriculum of pesantren has been designed in accordance with the spirit of al-Qur'an and hadith, so that the learning process becomes synchronized with the goals and achievement targets. And fourth, pesantren teaches the sciences and doctrine of Islam in a comprehensive, total, thorough and comprehensive (kaffah) which includes aqidah, shariah and morals (faith, islam and ihsan) better known with the concept Aswaja Trilogy.